You can now use Language101.com on iPhones and iPads.It’s now possible to use Langauge101.com on an iPhone or iPad. 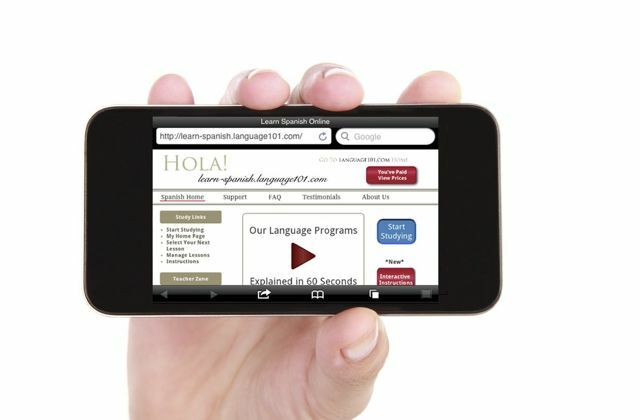 It is now possible to learn a language with Language101.com using your iPhone or iPad. Originally our site was designed to use Flash, but it has been completely re-designed to use HTML5 which means that all iPhones and iPads should work. To make sure that your idevice will work, go to the home page of the language you want to learn, click the big red Try It button and do the free demo. If the demo works fine the full program will work fine. By the way, whatever you do, make sure to watch our instruction videos too. That will speed up your studying a lot.